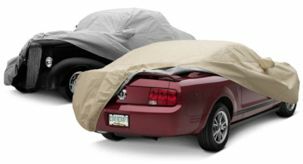 Quick easy protection for your seat from damaging UV rays - and if you keep the sun off your seat it stays cooler too! If you don't use a full cover this is a good alternative to help protect the seating area of your bike. Urethane-coated polyester reflects sun and heat. Universal fit attaches to handlebars and turn signals, rack/rear fender. Adjustable shock cords can be attached almost anywhere. Packs compact for daily use.